Plumbing Parts Plus has been the go-to store for Plumbers, Property Managers and Homeowners, since 1987. We sell everything from faucet stems to toilet seats, in all the old colors. If a part is not in stock, our resourceful staff can probably order it for you. 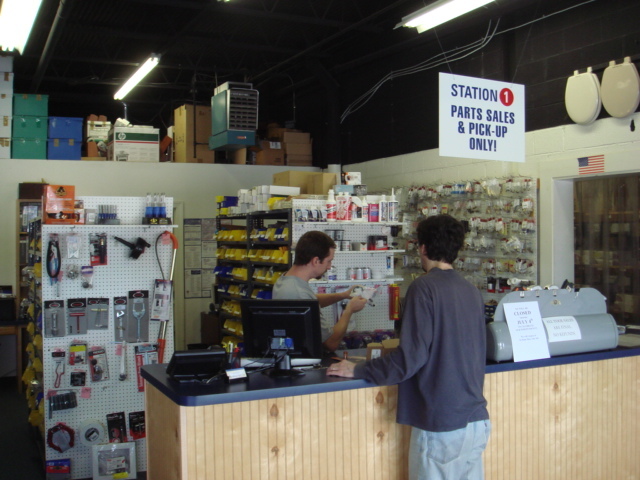 We stock one of the most complete inventories of faucet and toilet repair parts in the area. We have built a reputation for being the best source for hard to find plumbing repair parts, regardless of age. Our staff has over 150 years combined experience in the plumbing industry, and they are ready to offer you expert How-To advice so you can do it yourself and save $$$.